Author Dawn Babb Prochovnic answers the question: “How do you physically hold a book and sign along with it?” with a series of links, videos, and more to help you put more signs in your stories! Check out the post at Dawn’s blog. 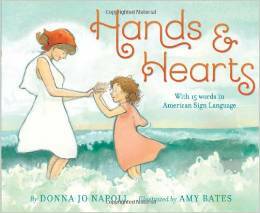 Hands and Hearts by Donna Jo Napoli. New York: Abrams, 2014. I have long been familiar with Donna Jo Napoli’s fiction for young adults, especially her achingly beautiful Hush: An Irish Princess’ Tale and the fairy-tale retellings Beast, and Zel. 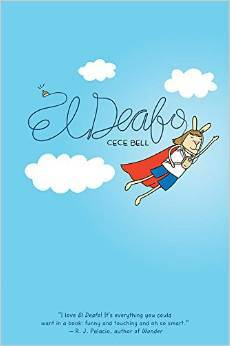 But until I read the afterword of this picture book, I had no idea that Napoli is also a linguist and an activist supporting the language rights of Deaf children! You can find more about her linguistics work, including links to a really cool series of bilingual ASL/English ebooks she helped develop, here. Back to the book at hand: on the surface, this is a simple, lyrical tale of mother and daughter spending a day at the beach, but every bit of it is built around the things their hands do: waving hello to the waves, digging in the sand, making a tent, and even being “Yak yak hands/yak yak fingers/telling as we run/out the gate down the path.” It’s a subtle reference to mother and child signing, and indeed, each page is accompanied by illustrations teaching a relevant sign such as RUN, WATER, or SUN. Amy Bates’ dreamy illustrations make this a sweet, gentle tale of family togetherness. A lovely addition to the ASL picture book canon. 1) How did you first become interested in sign language (and in particular, signing with hearing children)? I took an interest in sign language as a young child. I was raised on three episodes of Sesame Street a day and enjoyed watching Linda Bove use sign language to communicate. When I was in grade school I volunteered in what was then called the “special education classroom” and enjoyed using sign language in that environment. When I started planning for my own family in the mid-1990’s, I learned about the idea of signing with hearing babies. I read books, watched videos, researched web sites and took signing classes in my local community to expand my signing vocabulary. When my first child was born in 1999, our family embraced signing as an important part of our early communication with our daughter. Signing made it possible for her to tell us what she was thinking and what she needed before she was able to clearly communicate verbally. Back then, signing was more of an alternative thing to do with your hearing baby—it was definitely not mainstream. Our positive experience garnered the attention of other families around us. Soon, friends began asking for informal workshops. I have an MA in organizational communication, and much of my pre-kid professional life was in the field of corporate training and development, teaching grown-ups how to communicate with each other. In the year 2000, I left my corporate job and started SmallTalk Learning (www.smalltalklearning.com), a company that specializes in teaching sign language workshops to hearing families and educators. I love teaching, I love writing, and I deeply value family and communication. Teaching signing workshops and writing books for children enables me to blend all of these interests. 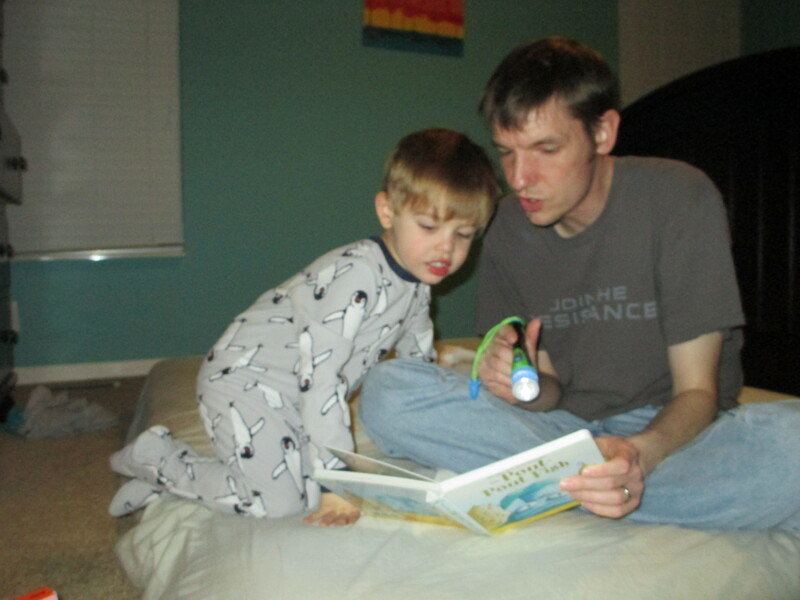 2) How did you come to write the “Story Time with Signs & Rhymes” series? Over time, I became more interested in the early literacy benefits of signing in addition to the pre-verbal benefits, and I discovered that preschoolers and elementary school children were especially keen on sign language. I wanted to share the extraordinary experience of signing with more children than I could reach in my own classes. The “Story Time with Signs & Rhymes” series grew out of that vision. In the summer of 2004, I attended my first of many writing conferences, and I formed a critique group so that I could refine my writing skills, transform my classroom songs into stories, and learn about the business of publishing. After many rounds of critique, countless revisions, and heaps of submissions and rejections, I signed my first publishing contract in March of 2008. I currently have 16 books that have been published in the series. 3) What made you decide to take a story-like approach to the series, when so many ASL books take a nonfiction approach? I was trying to fill an unmet need. 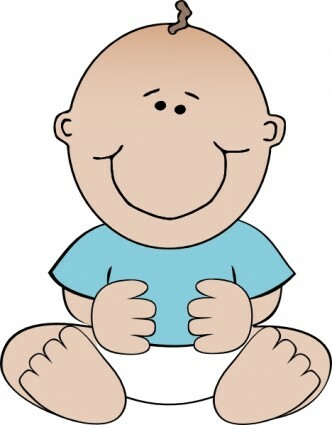 As baby signing shifted from alternative to mainstream, a variety of sign language resources became available: board books and picture dictionaries for babies, instructive books for middle graders, “How to Sign with Your Baby” guidebooks for parents, and many different videos and websites. At the time, there were a few fairy tales and nursery rhymes translated into Signed English, but there were no original, story-based picture books for preschool and elementary aged children that incorporated sign language. 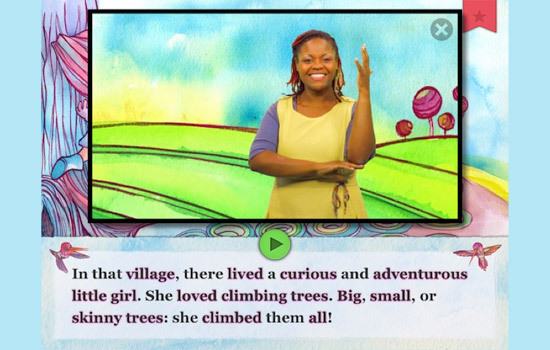 The Story Time series was designed to give children interested in ASL a logical next step after board books and picture dictionaries. 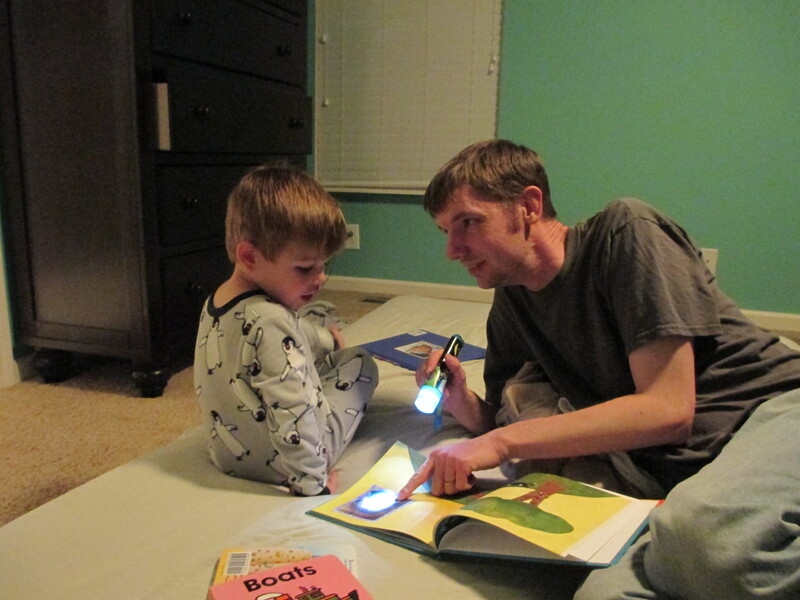 The playful, rhythmic, nature of the stories encourages parents and caregivers to read, sign and rhyme with their children, which helps build early literacy skills. My overall goal for the series was to create stories for children to interact with and get hooked on reading and signing. 4) Tell us a bit about the process for each book. How do you decide on the topics? How much do you collaborate with the illustrator? Most of the themes for the stories grew out of the songs I sing in my signing workshops to teach the signs for early childhood concepts such as animals, colors, and things-that-go. Each book tells an original story that is fun to read/chant/sing with children while they sign along with key words in the text. Think: “The Wheels on the Bus,” or “The Itsy Bitsy Spider,” but instead of incorporating random hand gestures for “round and round,” and “up the water spout,” children can sign along with key words like “red,” “blue,” and “green” that repeat throughout the story. Each page spread includes a small “sign language reminder picture” to encourages readers to sign along with at least one word on each page. 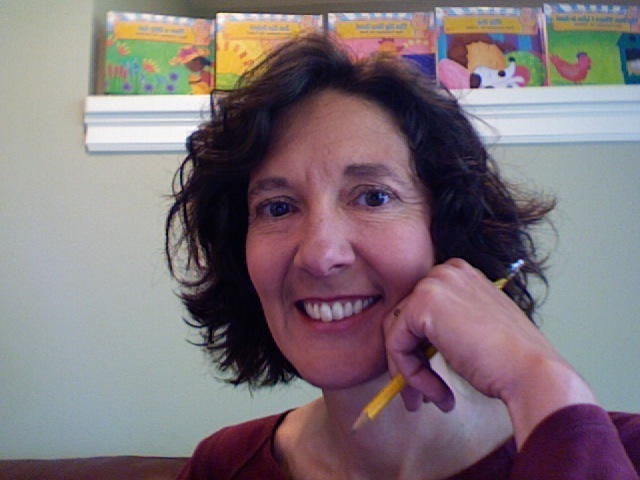 The series illustrator, Stephanie Bauer, had a lot of autonomy in creating the traditional picture book art, but we both worked closely with the ASL Content Consultants (William Vicars, EdD and Lora Heller, MS) on the non-fiction aspects of the books. Each glossary illustration went through several rounds of review before they were finalized. It is very difficult to convey a three-dimensional language via two-dimensional artwork, but Stephanie did a great job. 5) Do you have any new books in the works now? I have several new projects in the works, but nothing currently under contract with a publisher. I have written a new character-driven sign language series, and I’ve completed several new picture books that are completely unrelated to signing. Two of my favorites: LUCY’S BLOOMS, about the magic of childhood firmly rooted in unconditional love, and WHERE DOES A PIRATE GO POTTY?, about a pirate’s quest to find the right spot to leave his . . . uh, treasure. [Note from Kathy: Can’t WAIT for this one!] I also have a few grown-up projects under development. My current professional goal is to sign with a literary agent so I can focus on writing new books and engaging with readers. 6) Tell us a little about what you do in your presentations at schools and libraries. I teach a wide variety of classes for a wide range of participants including Baby and Me classes for preverbal infants/toddlers and their parents/caregivers; Early Literacy Enrichment classes for toddlers and preschoolers; Young Writers Workshops for school-aged children; and Professional Development workshops for caregivers, educators, and librarians. Just about every workshop includes some singing, a lot of signing, some moving and grooving, and a sign-along story time! 7) How do you respond to people who are hesitant to sign with their children due to concerns that signing will delay/interrupt speech? Ah, the persistent myth . . .First, I take a deep breath. Then, I point them to the research that indicates that just the opposite is true (babies who sign tend to verbalize sooner and have broader vocabularies than babies who do not sign, and there is a growing body of research that shows that early exposure to sign language contributes to future literacy benefits). I encourage folks to think about anecdotal evidence that points to the idea that signing does not interrupt the developmental milestone of speech. For example, when a child is diagnosed with a speech delay, it is quite common that sign language will be prescribed as a therapy to help stimulate speech and language development. With this in mind, it is quite illogical to think that signing is the cause of speech delays. I also suggest folks think about how babies naturally learn to point and reach and wave, and how that does not inhibit their ability (or interest in) in saying, “Look,” “Up,” or “Bye-Bye.” And, I encourage folks to think about the relationship of crawling and walking. Babies are developmentally able to crawl before they can walk. We do not think of crawling as an inhibitor to walking. In fact, it is widely believed that crawling is an important developmental milestone that should be accomplished prior to walking. 8) What are your favorite resources for those interested in signing with their children? There are many good resources. For “How To” books, I especially like Monta Briant’s Baby Sign Language Basics and your book, Little Hands and Big Hands, in addition to Joseph Garcia’s Sign with Your Baby. For children, I like my books (of course! ), all of the videos in the Signing Time series, and the Pick Me Up! CD produced by Sign2Me. 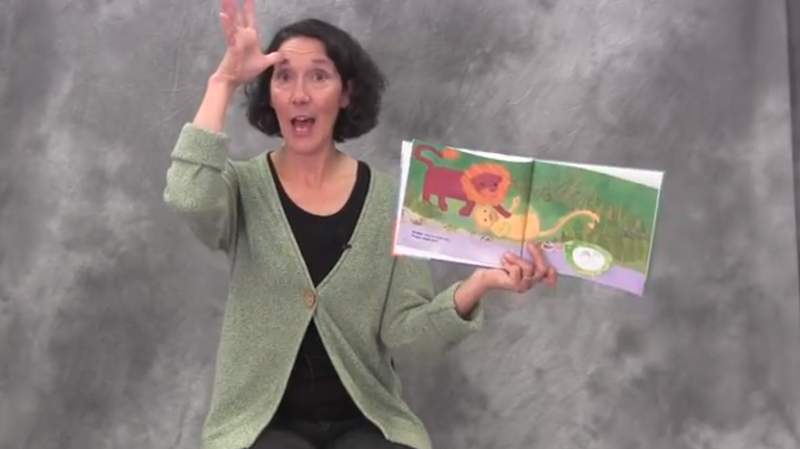 For older children I like Lora Heller’s Sign Language for Kids and Penny Warner’s Signing Fun. I also like to steer people to the “ASL University” run by Dr. Bill Vicars at Lifeprint.com and to the “Start to Finish Story Time” series on my blog. 9) What have I not asked that you would love for people to know? 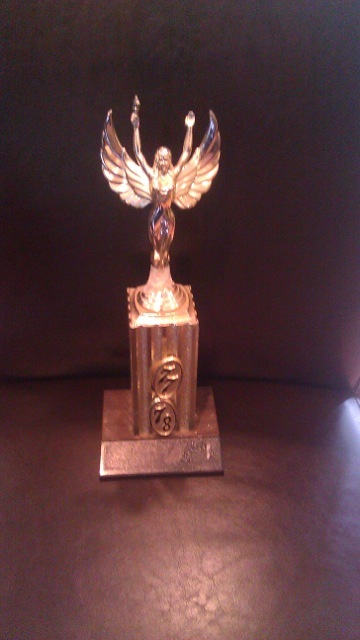 I’m quite proud of my “5th Grade Pleasure Reading Award.” It’s the only trophy I’ve ever won. 10) What is the best way for people to get in touch with you or get their hands on your books? Through my blog at www.dawnprochovnic.com or via email at info@smalltalklearning.com. 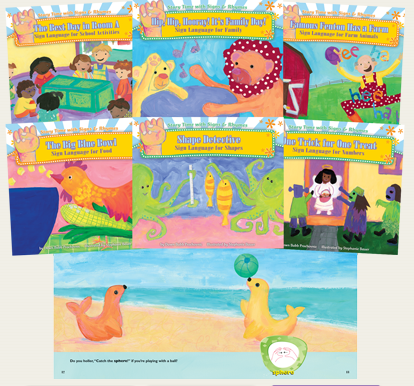 You can also order all of my books directly from my publisher, ABDO Publishing Group, http://abdopublishing.com/series/457-story-time-with-signs-rhymes. I should also mention I’m a huge library advocate. My books are in libraries throughout the U.S. and even as far as Singapore and Australia. Check ‘em out! Despite the spread of information about signing with young children, there are still lots of myths out there. Colleen Brunetti, M.Ed., C.H.C. debunks five of the most common in her great post on the Signing Time website: Click here to read “5 Myths About Signing With Your Child” – and spread the word!